The corpse flower, known for its putrid scent, is set to produce two blooms at Selby Gardens from late July through early August. Selby Gardens is about to make a stink—literally. 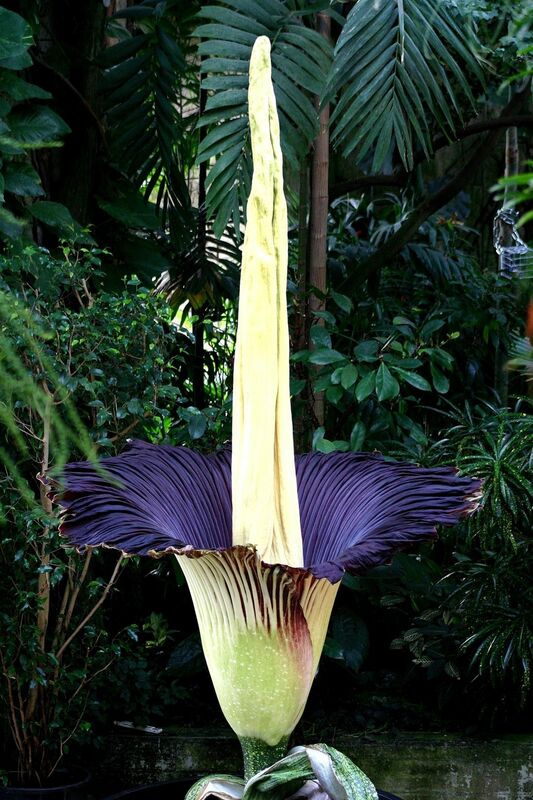 Two of its corpse flowers (Amorphophallus titanum), famous for their terrible smell, is expecting to bloom from late July through early August. The blooming of the plants, named "Seymour" and "Audrey," mere days apart is very rare, and is expected to present a putrid, rotten odor. In honor of the event, Selby Gardens is offering late-night visitation hours on select nights and a special membership package for those looking to make repeated visits to monitor the plants’ progress. The plants will be on display until the end of their bloom cycles: July 23 – 24 for Seymour and August 1 – 3 for Audrey. (Note that blooming can be unpredictable.) Selby Gardens’ social media accounts will be updated regularly for guests who wish to keep informed, and visitors are invited to share their pictures on social media outlets using the hashtag #stinkatselby.